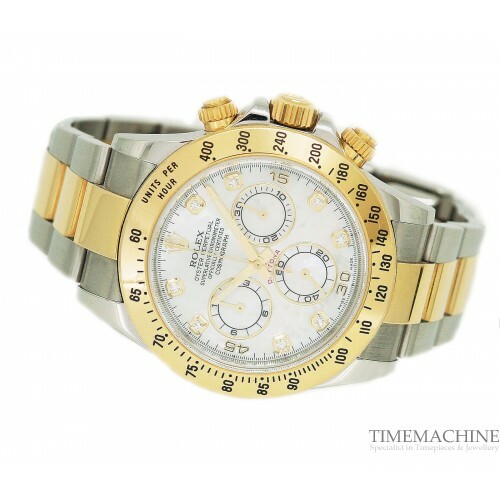 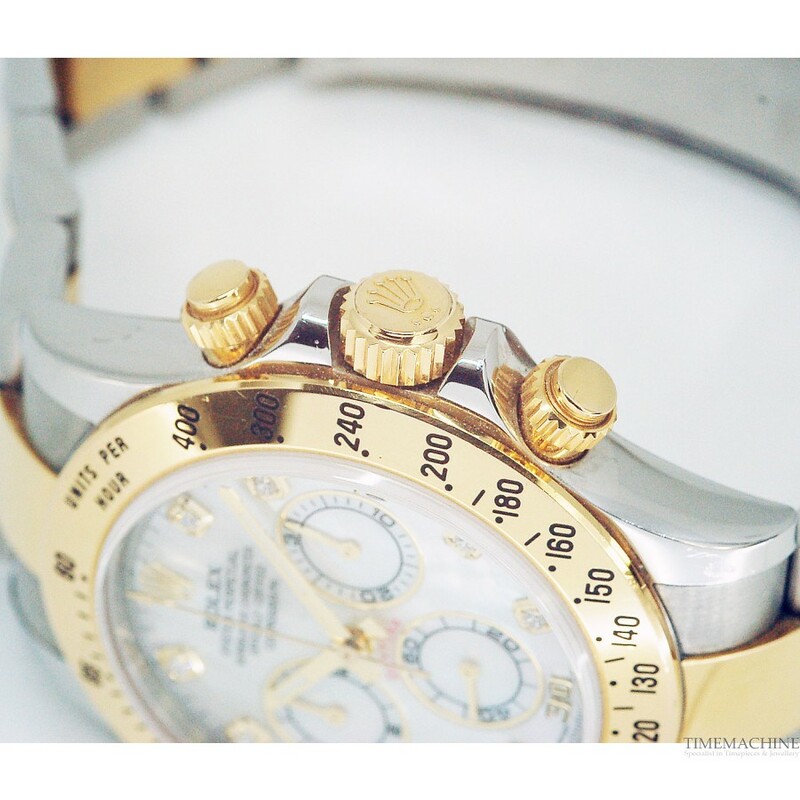 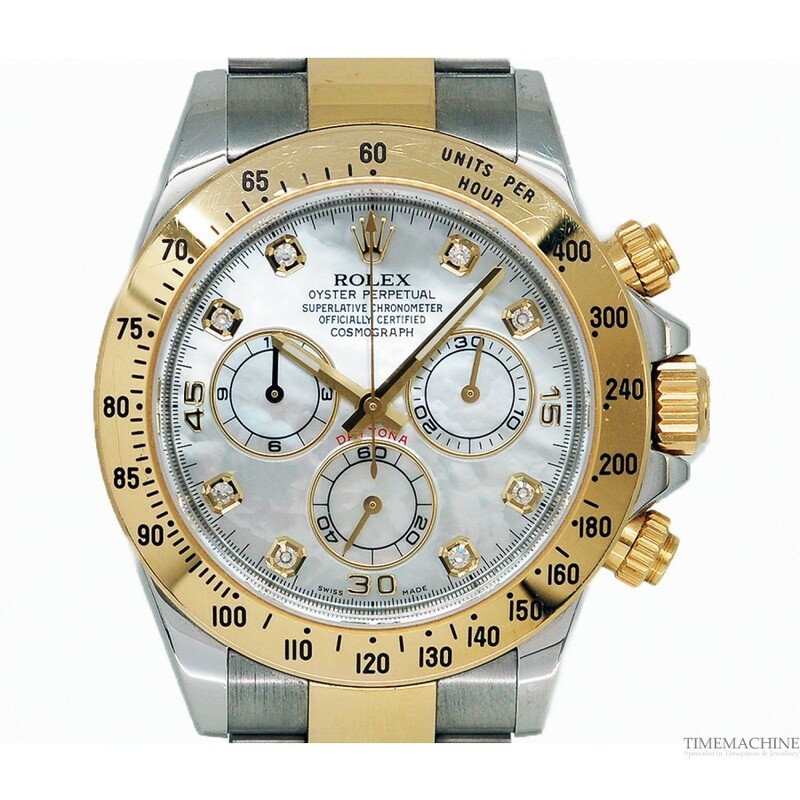 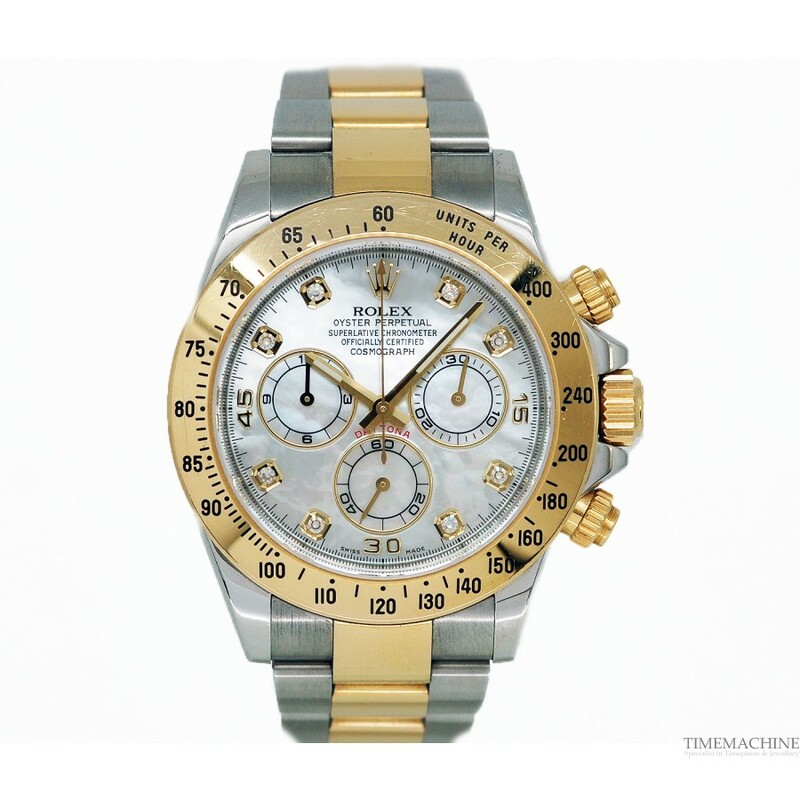 Pre owned, Rolex Cosmograph Daytona 116523, 40mm stainless steel and yellow gold case, mother of pearl diamond dot dial, tachymeter, date indication at 3, automatic movement, scratch resistant sapphire crystal, stainless steel and yellow gold bracelet, folding clasp. 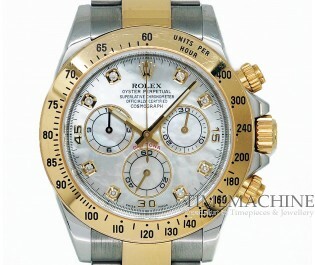 Please Quote 4544 in all communications with us regarding this Timepiece. 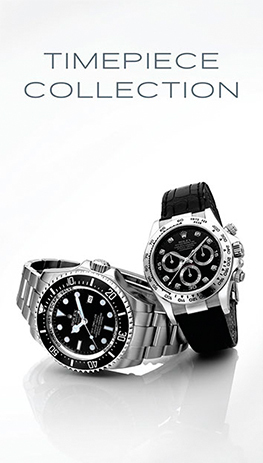 The new Rolex Daytona Cosmograph collection, housing the Calibre 4130, was finally launched during the Baselworld exhibition in the month of March 2000. 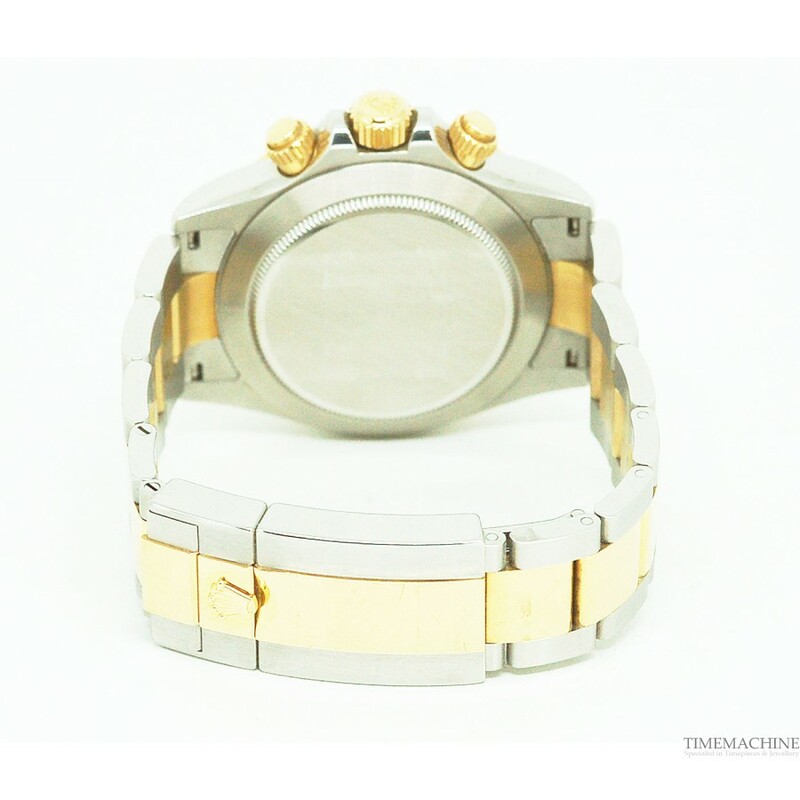 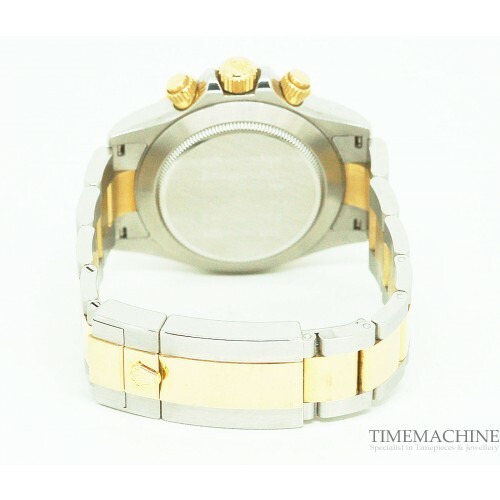 All the new models of the new 116500 series had a diameter of 40 mm and were slightly thinner of the previous versions.